Whatever you use your PC for it’s highly likely that you’ll need to make use of office software at some stage. Spreadsheet and PDF software is bound to come in handy, even if your day-to-day home admin requirements are relatively minimal, and who doesn’t find a use for word processing software like Microsoft Word once in a while? Whether it's for the office – in which case doing without office software is practically impossible - or for occasional home use, our range of industry-leading office software provides powerful and beautifully intuitive tools for an array of office tasks. Few office software packages are as invaluable and near universal as the Microsoft Office Suite. Whether you have a PC or an Apple computer, Office software staples like Word, Excel, Publisher and Outlook are well established as the standard go-to office software solutions. 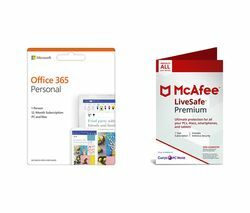 The entire suite of Microsoft Office applications can be purchased at an accessible price in the form of MS Office 365, a comprehensive suite that will take care of all your office software needs. 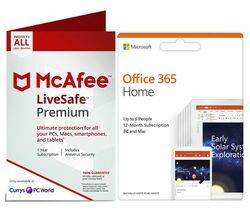 Beyond Microsoft’s must-have office software we also stock McAfee’s invaluable protection software, NUANCE Dragon NaturallySpeaking voice recognition software that will to talk to your computer, Adobe Acrobat and much more.